그저 라디오는 국내 라디오 및 음악 스트리밍을 무료로 청취할 수 있습니다. 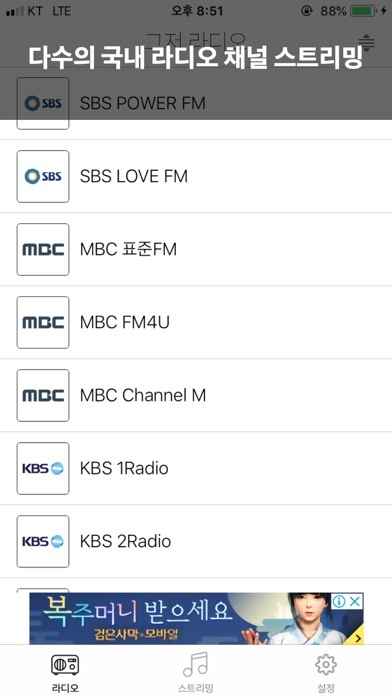 ● 라디오 SBS POWER FM, SBS LOVE FM, MBC 표준FM, MBC FM4U, MBC Channel M, KBS 1Radio, KBS 2Radio, KBS 3Radio, KBS ClassicFM, KBS CoolFM, UBC 울산방송 FM, G1 강원민방 FM, EBS FM, EBS 외국어 라디오, YTN 라디오FM, arirang Radio, TBS 교통방송 FM, TBS 교통방송 eFM, CBS 표준FM, CBS 음악FM, CBS JOY4U, cpbc Radio ● 스트리밍 POP, JAZZ, CLASSIC, K-POP 등 다양한 음악을 24시간 감상하실 수 있습니다. 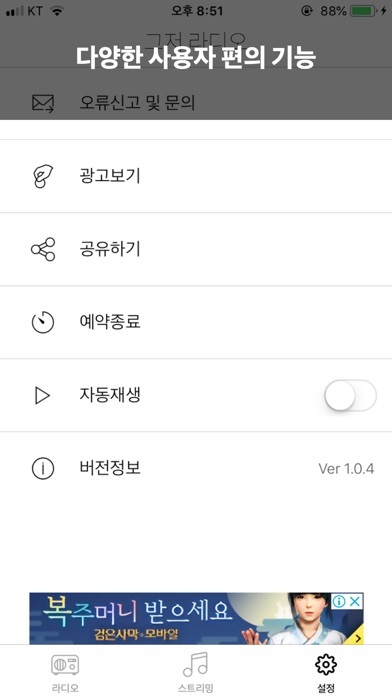 ● 주의사항 그저 라디오는 Wi-Fi 환경에서 사용을 권장합니다. 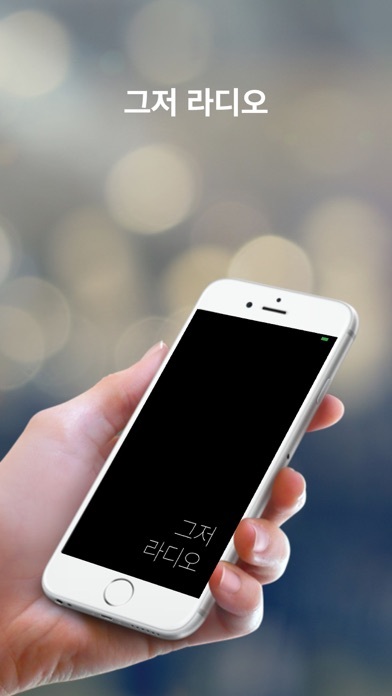 3G/4G 사용 시 데이터 사용료가 부과될 수 있습니다. plz plz carplay plz and take my money! 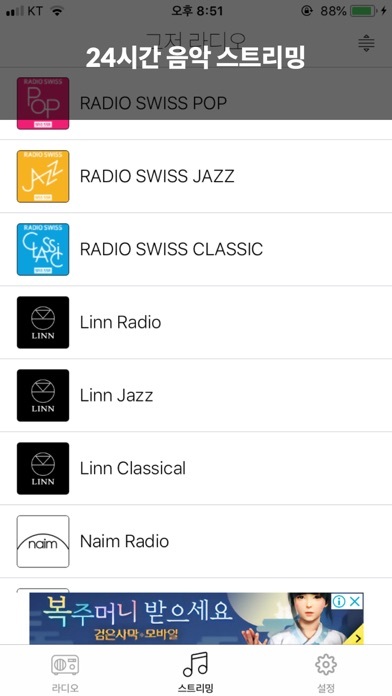 It was the best app for radio! Thanks for making this. And If I have one suggestion, please support Apple Carplay!